I was eating orange candy in classroom when my teacher caught me. I was wondering how come she caught me. I was eating with great care, like not moving my mouth, was still and toffee was under tongue (yeah you got me). Then she told me she caught due to orangey-fruity scent of toffee. I still like that candy and relish often. Anherb NaturalMandarin Orange Body Lotion reminded me of this little story from my childhood. Because Anherb Mandarin Orange Body lotion has the same orangey-fruity scent. My December skin care regime is dependable on Anherb Natural Milk & Honey Nourishing Cream (which I will review in my next post) and Anherb Mandarin orange body lotion. This year December in Delhi was weird. I have never witnessed such weird climate in December before. All days were sunny and it was less cold as compared to yesteryears. It’s all curse of environment as we have left no stone upturned in ruining it. So these dry, sunny, polluted air makes skin extremely dry. Even for oily skin person like me I needed something more. Keep on reading to know whether Anherb Mandarin Orange Body Lotion fared for me or not. Packaging – Anherb body lotion is housed in a nice, sturdy, clear plastic jar with a pump on top of it. The pack looks so cute. Body lotion is orange in color which is visible from its clear bottle. Pump is of superb quality after continuous use it remains in work conditions. This quality is a must if you are investing in products which comes in pump packaging. 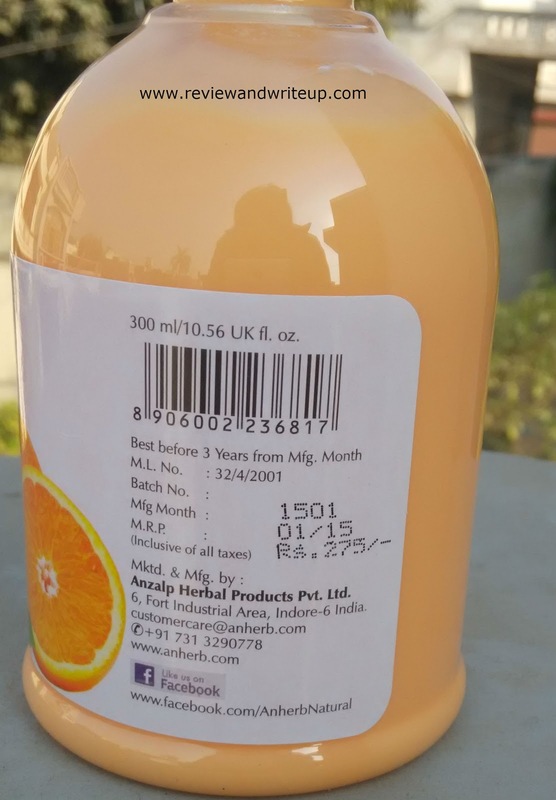 All information related to products are clearly inscribed on the outer cover of bottle. 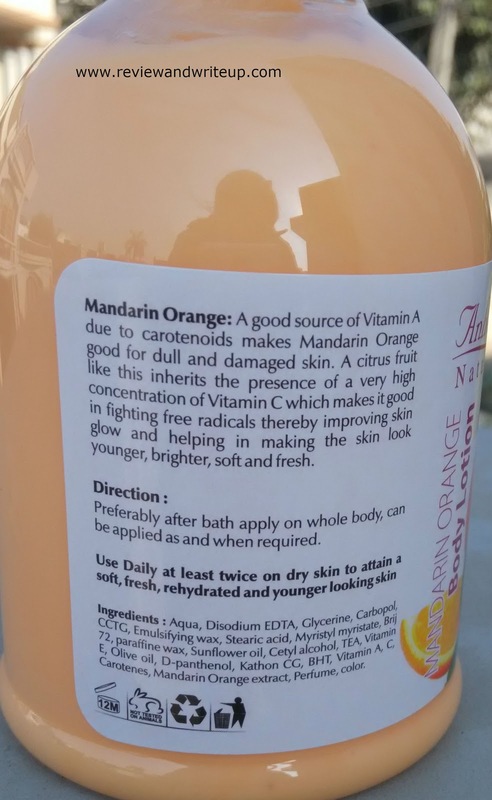 Brand has used the one of the best ingredient orange for formulation of lotion as oranges are natural skin toner which tones skin from inside. My experience – I always apply body lotion and cream immediately after bath. As at that time skin is wet and soft. Application of lotion, cream becomes easy and is absorbed well in the skin. The texture of lotion appears thick. You need little quantity for full arm. Lotion is neither greasy nor light. 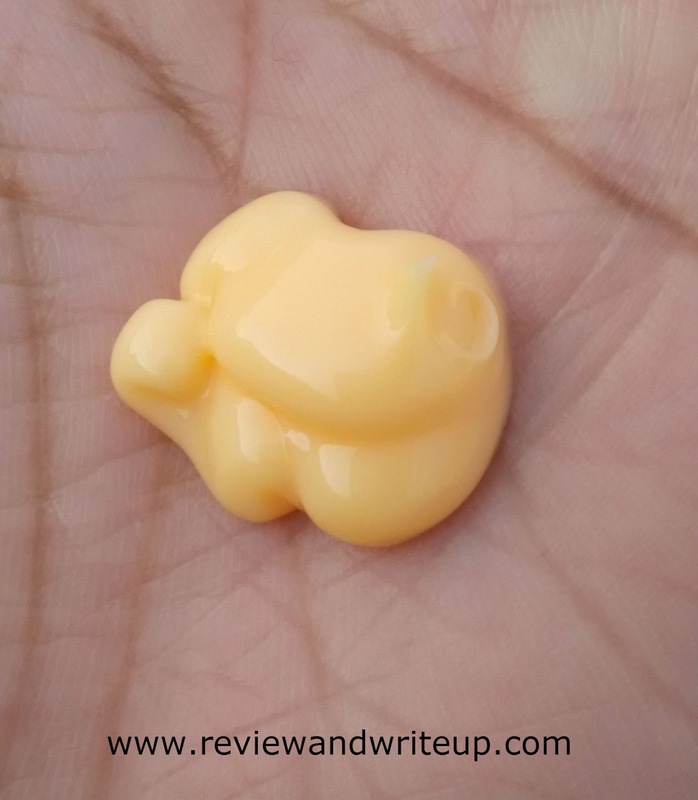 It glides well on skin and is immediately absorbed. Lotion doesn’t transfer to clothes. It has nice fruity scent which fades away in 10-15 minutes post its usage. My skin looks bright, clear, fresh, smooth and soft after its continuous use. If applied in morning lotion keeps skin nourished till evening provided portion of that skin is covered under cloth. On forearms I apply thrice or four times a day as this is the most exposed portion in winters after face. My mom has extremely dry skin. She is one more satisfied consumer. 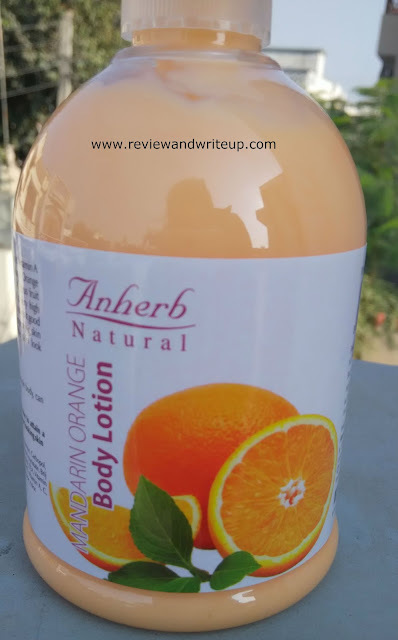 Whatever goodness we expect from a body lotion, Anherb delivers that in their product. A 300ml bottle is priced at only Rs. 275. Isn’t that great? But yes the bottle once open is not travel friendly. You can pour some in small jar and carry along. R&W Recommendation – don’t you get bored of using your regular body lotion. 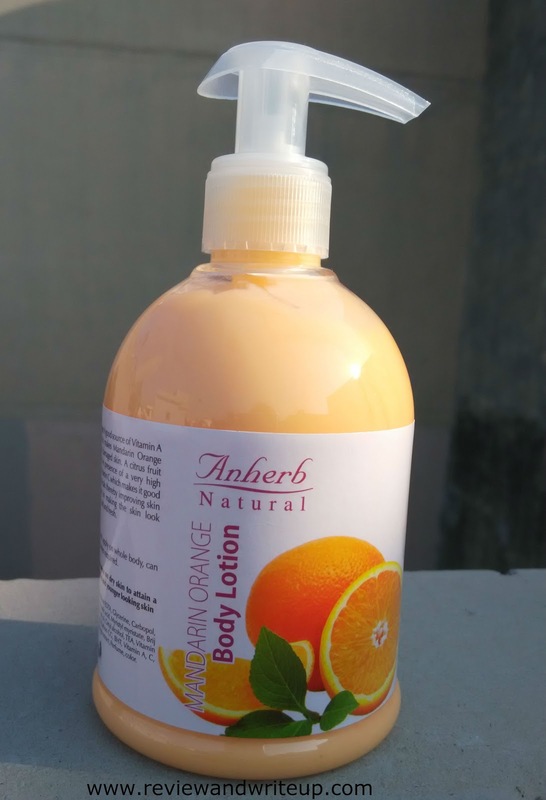 If you are looking for change than try Anherb Natural Mandarin Orange Body Lotion. It’s good for skin and budget.